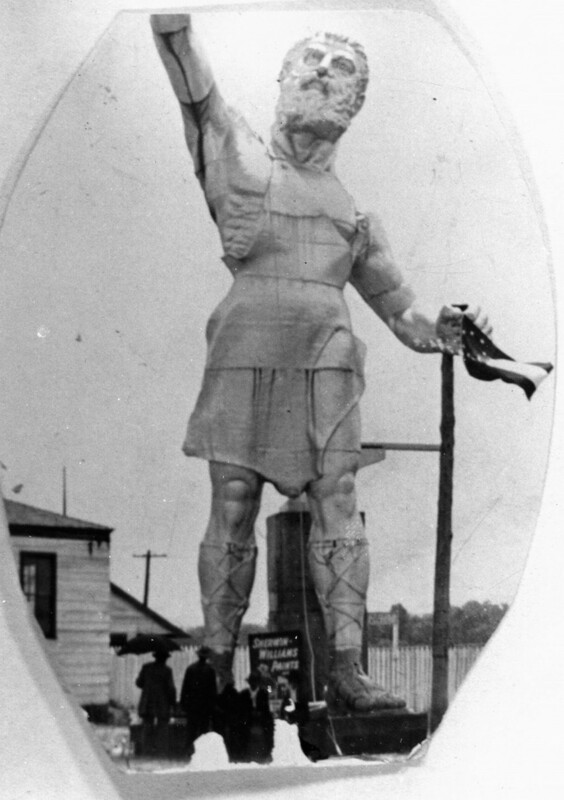 Today, June 7th, Vulcan, the largest cast iron statue in the world located in Birmingham, Alabama, is having a birthday. He is the centerpiece of Vulcan State Park on top of Red Mountain. But did you know that poor Vulcan was once used as an advertising prop, holding a pickle barrel and fitted with giant sized overalls to cover his bare behind? 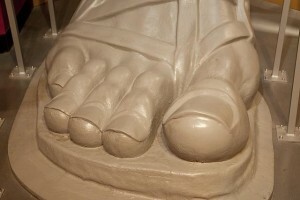 This upset the sculptor so much that he stated: “I wish I never made him. The Vulcan statue is the city symbol of Birmingham, Alabama, reflecting its roots in the iron and steel industry. 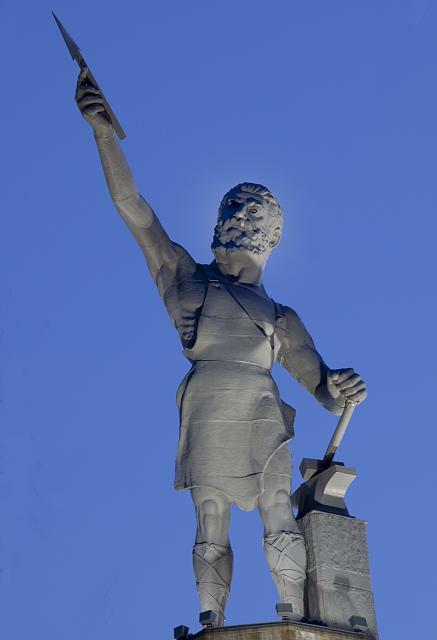 The 56-foot (17 m) tall statue depicts the Roman god Vulcan, god of the fire and forge. It was created as Birmingham’s entry for the Louisiana Purchase Exposition (1904 World’s Fair) in St. Louis, Missouri. Vulcan was cast in a Birmingham foundry by local workmen from iron mined on RedMountain- the very mountain on which VulcanPark would later be constructed. Though time needed to complete the project was two to three years, Moretti had only months. In the next four months, men worked 60-hour weeks to ensure the statue would be complete. Vulcan won the Grand Prize in the Mine & Metallurgy Exhibit and Birmingham leaders had to reject offers from both St. Louis and San Francisco to buy the statue at the end of the Fair. 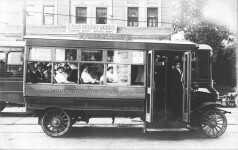 When shipped back from St. Louis, he was dumped beside the railroad due to unpaid freight bills. His original spear was lost enroute home from St. Louis. He was abandoned for years and suffered humiliation when he was finally put back together when the Birmingham State Fairgrounds offered him a home. His arms were put on backwards and he was later used as an advertising prop, holding a pickle barrel and fitted with giant sized overalls to cover his bare behind. Watch the film below to learn more. 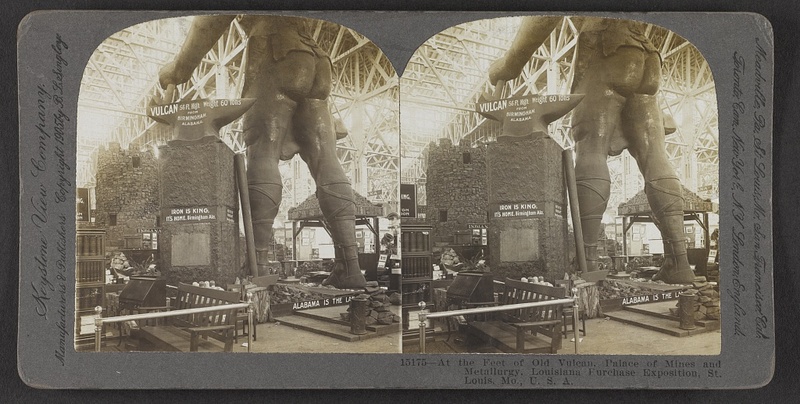 Colossal iron statue of Vulcan, 56 ft. high, weight 100,000 lbs., in Mines Bldg., World’s Fair, St. Louis, U.S.A. It was created as Birmingham’s entry for the Louisiana Purchase Exposition (1904 World’s Fair) in St. Louis, Missouri. It is the seventh-tallest free-standing statue in the United States and has overlooked the Birmingham since 1930. 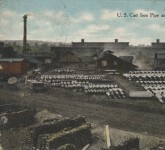 The city of Birmingham is unique because of the availability of the raw materials necessary for making iron: coal, iron ore and limestone. 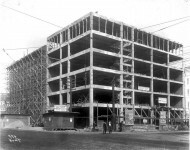 By 1900, Birmingham was called the “Magic City” because of its rapid population growth due to the larger number of workers needed to produce iron. 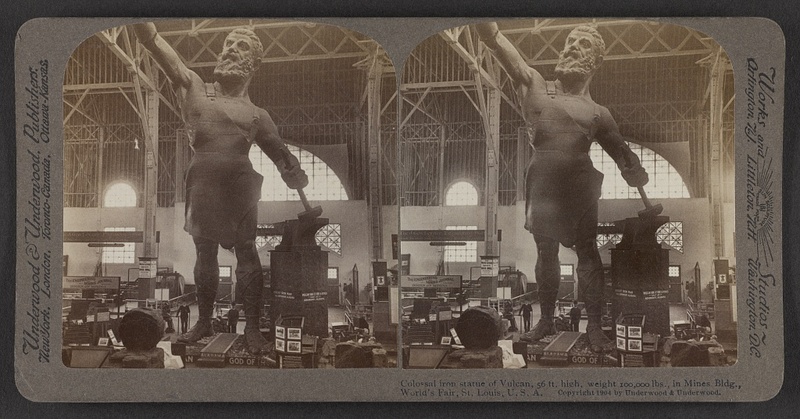 City leaders wanted to advertise Birmingham and Alabama at the St. Louis World’s Fair and decided a statue of Vulcan would best highlight the area’s growing industrial abilities. 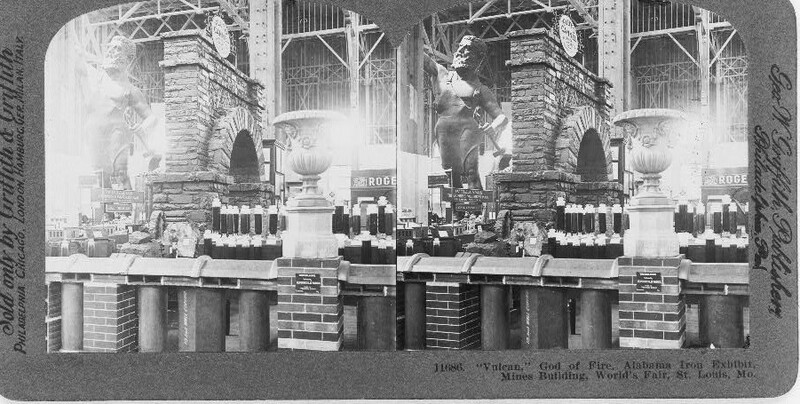 Vulcan,” God of fire, Alabama Iron Exhibit, Mines Building, World’s Fair, St. Louis, Mo. Commissioned by the Commercial Club of Birmingham, Italian-born sculptor Giuseppe Moretti began designing the monumental figure in 1903, using a 6-foot (183 cm) tall model to study the form. 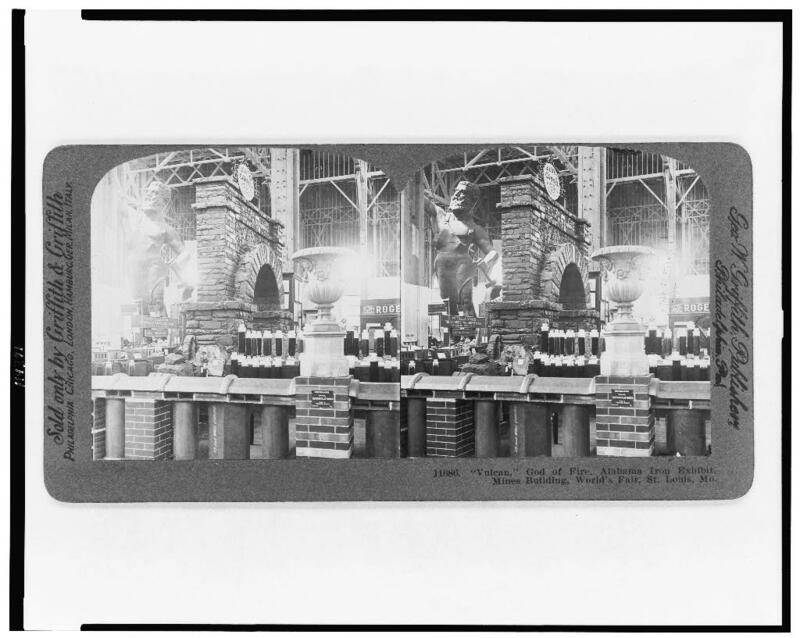 He next sculpted a clay master model in an unfinished church in Passaic, New Jersey, and this was then divided into sections and transported by railroad to the Birmingham Steel and Iron Company for the preparation of casting molds for the iron. 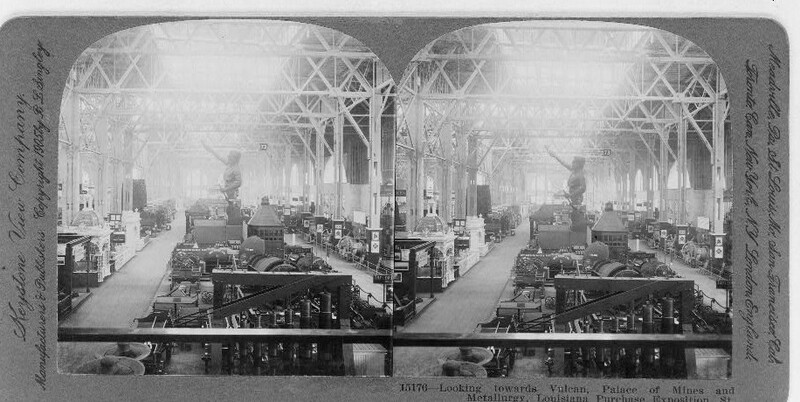 Looking towards Vulcan, Palace of Mines and Metallurgy, Louisiana Purchase Exposition, St. Louis, Mo., U.S.A. In 1935, two members of Birmingham’s Kiwanis Club organized a citywide campaign to find the statue a decent home. 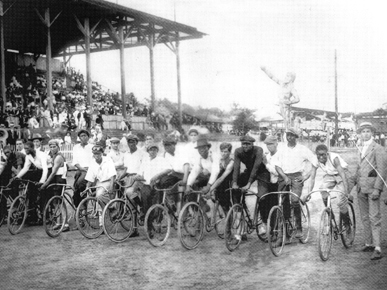 Funds given by President Franklin Roosevelt’s Works Progress Administration (WPA) allowed the construction of the park to begin. By 1939, the 55-foot-tall Vulcan stood atop a 123-foot pedestal of native sandstone and marble quarried just a few hundred yards away. Once again holding a spear point in his right hand and a hammer in his left, the man of iron proudly dominated Birmingham’s skyline. In 1946, the decision was made to place a torch in Vulcan’s right hand as a temporary traffic safety campaign for a few months. The red light signaled that there had been a traffic fatality in Birmingham; the green light shone to demonstrate there had not been a fatality. In 1999, after years of rust and weather, the hard decision was made to dismantle to make needed repairs. 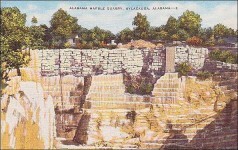 Money was raised in Alabama through donations and those interested in restoring the park to its former days. The torch was removed during the renovation of Vulcan. The decision was made to return Vulcan to the way that sculptor, Giuseppe Moretti, intended. Since the original spear point never returned from 1904 World’s Fair, a new one had to be cast. Today, for the first time, since 1904, Vulcan is standing as he stood in St. Louis – gazing at the spear point in his outstretched right arm. The actual torch can now be seen in Vulcan Center Museum. A fond memory of early visitors to Vulcan Park is the cascades. Constructed out of stone, water tumbled down the cascades in a series of falls and ponds that contained fish. The cascades were removed when the park was renovated in 1969-1971. No original 1936-1939 landscape records were found and preservationists needed original drawings to proceed with reconstruction. Today, the sloping grass hills between the stone steps that lead up to Vulcan are designed to simulate the original cascades. Wish him a Happy Birthday by sharing your favorite memories of Vulcan in the reply section below. What is your favorite memory of Birmingham, Alabama? Have you ever seen the ghost lady of the lake dressed in white on Bayview Bridge? 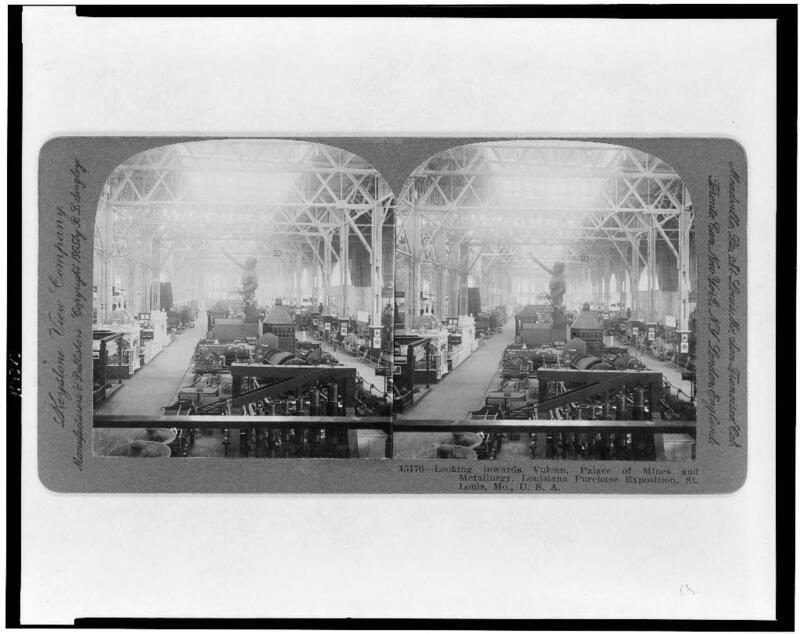 my grandfather, Henry Hugh Morgan, Sr., was the foreman at the foundry in Birmingham that cast the Vulcan statue……. I purchased a bottle of wine recently, strictly because it had the Vulcan on it. I saw it was fermented by Morgan Vineyards, and that that was a dedication to their great-grandfather, I believe. I’m assuming your grandfather is the same person!? My uncle E.L. Fesperman who owned Alabama Neon Sign Company installed the light in Vulcan’s torch. They need to bring the light back!!!! We live in Birmingham when I was in first and second grade….I remember always looking for the Vulcan torch when we’re out driving at night! It was awesome to a little six year old…. Actually still is! If you have never visited Vulcan park…. You need it on your bucket list!!!! Put those Liberty’s back on the Vulcan and put the pickle barrel! lol ! Rick and I stopped at the Vulcan on the way home from Richmond’s funeral. It was awesome. I remember my mother and grandmother talking about how my great grandfather helped build the Vulcan in Birmingham. My mother who grew up near the fairgrounds talks about walking inside Vulcans arm when they dismantled him for the move to red mountain. We climbed those stairs of Vulcan tower many times in the 50s and 60s. Fond childhood memories. My mother had an uncle who lived near the fairgrounds. She said she remembered climbing on Vulcan’s hand as he lay on the ground. I remember taking the stairs back in the 80’s with my girlfriends, kissing in the stairwells, and all the graffiti on the walls. Years later, when I was a married man with a new baby and Vulcan was dismantled and in pieces on the ground, my wife and I took pictures of my baby daughter sitting on Vulcan’s big toe. I remember a GREAT Halloween party there in the 90’s. Can’t believe it really happened, actually. Somebody must have known somebody to ever get the OK for that night. I remember going to Alabama football games with my dad and grandfather, at Legion Field, when I was a boy. Every time we went, I always looked for the green or red light! It was a such a part of Birmingham. I’ll never forget it! I use to love to climb the steps to reach the landing and look out over Birmingham. My mother use to sit at his feet at the fairgrounds when she was a child. Its a statue! Melt it down and make something useful. Like guns. If you’ve never visited Vulcan, you should. He’s quite a sight. He is. I will attest to that. I visited Bama for a football game and because we live in the west we were not aware of the blue state so we had to find things to do on Sunday. He was one of them. So much fun. I’ve been there, done that and get the T-shirt. I love history, I truly do, but this country is in a bind. This is for you Rachel Susan! Have a piece of cake! Did you know that 8 million in federal tax dollars was spent to restore the piece of metal? That needs to stop also. Where did you get your 8 million figure? I found this statement on Bhamwiki but it was not 8 million. 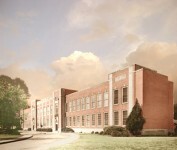 “In 2006 the restoration was given an Honor Award by the National Trust for Historic Preservation. $1.5 million of the restoration cost was included in the 2001 Interior Department Appropriations Bill (passed in 2000) at the request of Senator Richard Shelby. Your right I got that number wrong, and Richard should have paid that out of his pocket, not tax dollars. We need to spend our money more wisely, as we have more pressing matters to deal with. $1.5M is nothing for an important B’ham icon like Vulcan! Its preservation means more than some apparently know. Did you know that 8 million in federal tax dollars was spent to restore this piece of metal? 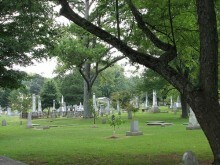 My uncle took me to this many time when I was growing up , oh how I miss him and my summer visits to Birmingham . I would like to see it holding a pickle barrel again….I Love pickles! I love the Vulcan ! We used to watch it out of or cousins bedroom window on Red Mountain in Homewood ! Hmm, Maybe he was psychic & trying to tell us something ! Better to use it on Vulcan than illegal aliens making them into Democrats. My mom used to tell us about Vulcan being at the AL fairgrounds when she was a girl. Kids were told if they got lost, they should go sit on Vulcan’s toe and wait for their parents to find them. My mother has told me stories of her childhood that included attending the State Fair and looking forward to meeting her cousins at Vulcan. She said the children “drew straws” to see which of them could sit on Vulcan’s feet while they ate their picnic dinner. Mom was born in 1903 and vividly recalled the good times at the Fair and drawing the “short straw” which enabled her to sit on Vulcan’s feet! This is the second story I have heard on the Vulcan.But my best memories of the Vulcan as a young girl with friends going and climbing all those steps and at the top walking out side where you could walk all around the Vulcan.It had a tall fence like around it and the wind would fill like it was going to blow you off. Love the memories of going.Those stairs seem like forever to climb but lots of fun. My husband and I have visited our granddaughter twice and have not been able to go up in the Valcan yet. Lighting made one trip impossible; the second time, there were field trips of two classes and they went up five at a time. Have to go back soon. Back in the 60s when I was a Bama student we would go up to Vulcan after night games at Legion Field, climb the stairs inside the marvelous red structure, and get a wonderful night-time view of the city. Can’t do that anymore. I have also found it interesting that Vulcan is there instead of Zeus because of the influence in the community of a-then Birmingham Mystic society, the Kreme of Rex Vulcan, now defunct. To visit at night was a beautiful sight overlooking the city. 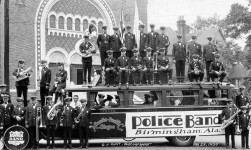 Saw it riding on an FSU Marching Chiefs bus headed for Birmingham for a football game against Bama in the 1960s. Happy Birthday Vulcan! Enjoyed looking up your skirt from Hillside Circle Homewood. Loved the beautiful dogwoods that flanked the drive. That was in the 70’s. As a child, I too looked for the Vulcan’s red or green light when coming into town from Kimberly . Wonderful memory I have shared with my family when visiting Birmingham. Back in the late 50s I would throw paper airplanes off and watch to see how far they would go. My parents and I would visit my aunt and uncle in Birmingham, and most every time they took me to see “the iron man,” as I called him as a child. I remember the fish in the cascades as well. Great memories were made there! I have fond memories of Vulcan, as well. 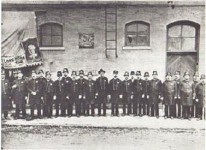 The torch light was particularly significant to me, as my father was a State Highway Patrolman. I can also remember a sight even more impressive to an imaginative little girl, when there were still foundries open to the skies, glowing domes of red casting an eerie and magical glow to the city. We need symbols like Vulcan, to remind us of our history! I’m so glad he’s been refurbished! I used to walk out of my Aunt Mallie’s house and look straight up at Vulcan. That used to scare me!! We used to look hard when it got dark to see if the lantern was red or green. Never wanted to see red!! I was born in Birmingham. I was so impressed when we began studying Birmingham which was in jour history book, Vulcan was at the forefront. I have to correct the statement that Vulcans light was originally used for a traffic fatality. It was a fatality but the fatality was in the mines.it did not become a traffic fatality until much later. I love this so impressive city. What is your favorite memory of living in Birmingham, Alabama? 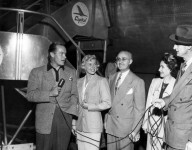 Did you know that Vulcan was once at Fair Park in West End, Birmingham, Alabama?